One of Hidden Ireland’s historic houses, Mount Vernon, County Clare, has received a prestigious César award – the Oscars of the hotel industry – from the Good Hotel Guide, the leading independent guide to hotels of character and quality in Great Britain and Ireland. 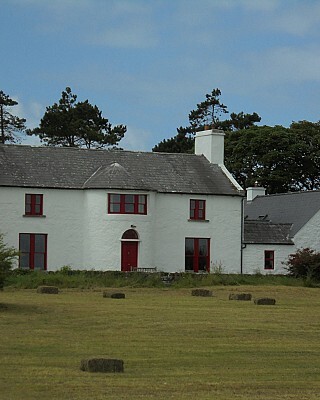 Mount Vernon, once Lady Gregory’s summer retreat on Flaggy Shore where the Burren meets the sea, is named Irish Heritage House of the Year in the 2011 edition of The Good Hotel Guide. On the edge of the Burren you’ll find Mount Vernon, a lovely Georgian villa with fine views over Galway Bay. Formerly owned by Lady Gregory (of Abbey Theatre fame), the house has antique furniture and paintings, and chimneypieces built by Augustus John, while the comfortable bedrooms have lovely garden or sea views. Crab, lobster, scallops and monkfish appear regularly on the menu, both for regular guests and for the small private house parties which are a speciality of the house. Guided walks though the Burren’s magical moonscape are available: these are a wonderful way to learn about the unique flora of the region. Mount Vernon B&B House is a delightful Georgian seaside villa on the flaggy shore at the edge of the Burren in County Clare. The house was built in 1788 for Colonel William Persse, a friend of George Washington, who named it after Washington’s plantation in Fairfax County, Virginia. In the late 19th century Mount Vernon became the summer home of the art expert Sir Hugh Lane, who later drowned on the trans-Atlantic liner Lusitania and whose collection of Impressionist paintings now forms the nucleus of Dublin’s Municipal Art Gallery. The house subsequently passed to his aunt, Augusta, Lady Gregory, who entertained many of the lions of Ireland’s cultural renaissance at Mount Vernon, including Yeats, AE (George Russell), Synge and Shaw. She later gave it to her artist son Robert as a wedding present. Robert was killed over France while a pilot with the Royal Flying Corps, an event that inspired Yeats’ poem ‘An Irish Airman Foresees his Death’. In recent years Mount Vernon has been the home of the Helmore family. 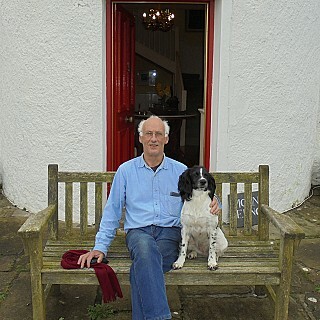 The present owner, Mark Helmore, decided to offer country house accommodation for visitors to the region and they opened their doors to great acclaim. The main rooms contain fine antique furniture, paintings and ceramics, and several unusual Arts & Crafts chimneypieces designed and built by the pre-Raphaelite painter Augustus John. The spacious bedrooms are extremely comfortable, with lovely garden and sea views. The cooking is based on fresh local produce with an emphasis on local seafood. Guided walks in the wonderful Burren landscape are available locally and the famous golf links at Lahinch and Doonbeg are within comfortable driving distance. Mount Vernon is convenient for Shannon or Galway airports (35 and 22 miles respectively) and for Galway city (20 miles). It is also ideal for small house parties.